In this eBook from MatchCollege, learn the various piece-parts of college costs and how to best navigate the process. Understanding the cost associated with earning a college degree is a mystery to most but with a little time invested reading our guide you will be equipped to minimize the financial impact on your way towards degree attainment. Figuring out how to pay for college remains the number one drawback for students of all ages. The inherent costs linked to earning a college degree can be intimidating. 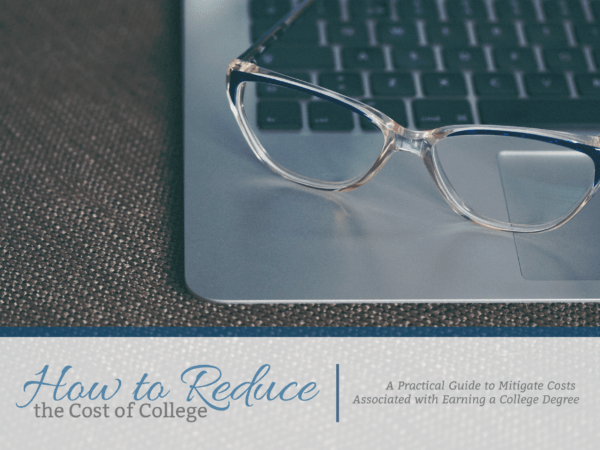 As a result, we have created a guide to help you figure out how to maximize your resources and mitigate the overall costs of attending college. Read and re-read our guide to make the most of your time and financial aid. In our eBook, How to Reduce the Cost of College, we explore the following topics: finding money for college, understanding the retail cost of college tuition, free money for college, the nuts and bolts of financial aid, what you need to know about student loans, in-state & out-of-state college programs, maximizing your schedule, saving versus spending habits, and negotiating your financial aid package. Understanding is the key to successfully reducing the costs associated with college. Take the time to get the facts about your college education and learn why the most deserving students are not always the ones receiving financial aid. Learn that 44% of all grants and scholarships come from the federal government with colleges a close second at 36% of all grants and scholarships awarded to college students. Discover the difference between the published tuition rate and the net price of tuition. The vast majority of students and guardians do not understand this basic principle and need to take the time to learn the difference between the two figures. Would you believe the net cost of college tuition has been relatively flat for a number of years despite the escalation in retail tuition? Get the insider’s tips and facts by reading this chapter today. Nearly 85% of college students attending a private university or college received a grant or scholarship of some kind. Learn how the private colleges leverage the variables of perception, selectivity, and competition in this chapter of our book. Believe it or not, public colleges and universities provided financial aid to over 50% of enrolled students based on the latest data available. Find out the weighted average importance of grades, standardized tests, class rank, talent, athletic ability, and legacy status for both public universities and private colleges. Financial aid is an essential component of college for the majority of incoming and returning students. You may be surprised to know that most every student can qualify for some type of financial aid. Learn the importance of the equation: SN = COA – EFC and why this formula is so vital to the college financial aid process. What is a FAFSA? Get information on completing this free application today and do not miss the upcoming deadline. What is the difference between a Stafford Loan and a Perkins Loan? What are the important features to consider when applying for student loans? What is the difference between an unsubsidized student loan and a subsidized student loan? Learn how a PLUS loan could make sense for your family. College tuition for in-state residents is significantly less expensive than for non-residents. In fact, the cost of tuition for non-residents can be 2-3 times higher than for those residing in the state where the school is based. The five ways to help offset or mitigate the cost difference lies in the following: asking, reciprocity, grades, adjacency, and becoming a resident. Find out which path is best for you by understanding each of the above items in greater detail in this chapter. One of the biggest expenses you can control is the length of time you are in school. In other words, if you graduate with the desired degree in four years instead of six years you will be saving time, money, and resources. By properly planning out your schedule and staying on track, you can control a large college cost-driver. In this chapter, find out if savers get punished or not. Learn how financial aid is factored for a college student with respect to retirement accounts, savings accounts, and 529 plans. Take the time to really understand this chapter to help set you and your college student up for future success. Learn an acceptable etiquette with your financial aid package. What can you expect from a financial aid award letter? What do you do if you have questions about your financial aid award letter? Understand the fine art of graciousness and open communication with the college admissions team. The relationship you build today can make a lasting impact on your college experience.